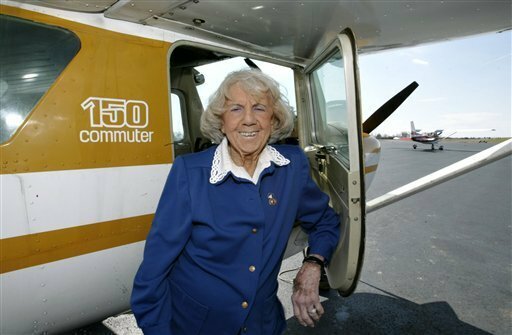 Mama Bird began flying back in 1944, ranÂ her own flying service, and manage a small-town airport. âShe held the Guinness Book of World Records certificate for most hours in the air for a female pilot. 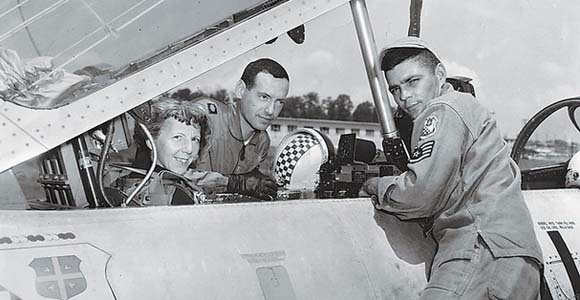 She was also one of the first female helicopter pilots,â they wrote. âAt 95, she was still managing the airport she had run since 1953, where she had taught more than 3,000 student pilots and certified more than 9,000 pilots for the Federal Aviation Administration,â according to Philly.com. âShe is said to have logged more flight hours, trained more pilots and given more Federal Aviation Administration exams than any other pilot on the planet,â according to Knox News.